Yet again we’re hearing that Fitbit is close to buying Pebble, and now some additional details of the sale – and what it will mean for Pebble’s watches – have been revealed. According to “people familiar with the matter” speaking to Bloomberg, Fitbit is buying Pebble for less than $40 million, as previously reported, and following the sale the Pebble Time 2 and Pebble Core will be cancelled, with refunds issued to Kickstarter backers. 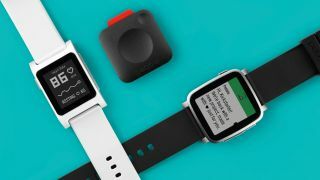 It’s too late to cancel the Pebble 2, as that’s already started shipping, but it doesn’t sound like the watch will be well supported, with Pebble’s offices reportedly set to close and only around 40% of the company’s employees offered jobs by Fitbit. While Pebble’s CEO, Eric Migicovsky, is said to be rejoining startup incubator Y Combinator (where Pebble began), as an adviser to early-stage companies. The sources note that it will be up to Fitbit whether to still use the Pebble brand, but the deal is said to be mostly about Fitbit acquiring Pebble’s engineers and software, so the company can move beyond fitness trackers and make its own smartwatches. That could help Fitbit better compete with the Apple Watch 2, but the company could still have a tough time, since the weak state of the smartwatch market contributed to Pebble’s own troubles and a sale price that reportedly doesn’t even cover its debts and obligations.